Maximizing Progress: Star Trek Aqaba ~ Jordan's Green Theme Park! 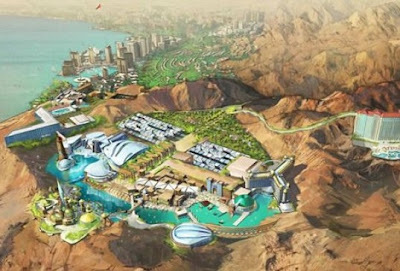 Thanks to Inhabitat for spotting the planned US$1.5B development of a Star Trek theme park in Jordan's southern port city Aqaba! Not only is this a cool addition to emergent Aqaba, but it's a salute to the most Trekkie of royalty, King Abdullah II, who even cameo'd in a Voyager episode!